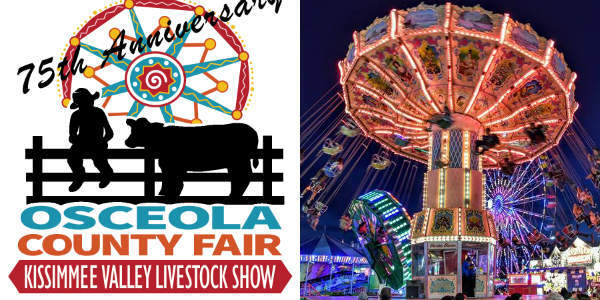 The 75th annual Osceola County Fair will open Friday, February 8th and run through February 17th, 2019. Held at Osceola Heritage Park in Kissimmee, the Fair will feature livestock shows & youth exhibits, live entertainment, carnival rides and more. Looking for something different to do Halloween weekend that isn’t scary? 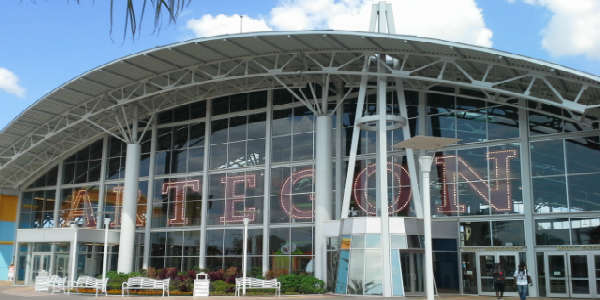 Then come play at the Artegon Carnival from October 28 through November 1 at Artegon Marketplace. The Kevaworks/Dreamland Amusements carnival will be set up in the parking lot offering rides, games, and food for all ages. Rides will cost approximately 2 to 4 tickets per ride. Some of my best family memories are outings to the yearly fair. Make some memories of your own by taking your family to this year’s Central Florida Fair. The 99th Annual edition of the fair starts today (February 24) and runs until March 6, 2011. There are carnival rides, animals, acrobats, live entertainment and more to enjoy. In addition to the regular entertainment, enjoy rodeos on both Saturdays (Feb 26 and March 5). And let’s not forget the food. Pizza, cotton candy, funnel cakes, BBQ and more will be available for purchase. Admission is $10 for adults, $7 for sudents and seniors, and $5 for children 6-10 (5 and under is free). Rides and food are additional. Today is a deal, though. $1 admission for everyone, $1 rides and $1 food specials. The Central Florida Fair takes place at the Central Florida Fairgrounds (imagine that! ), which is located at 4603 W. Colonial Drive. Parking is free. The fair opens at 4pm Monday through Friday, at 10am on Saturdays, and at 11am on Sundays.